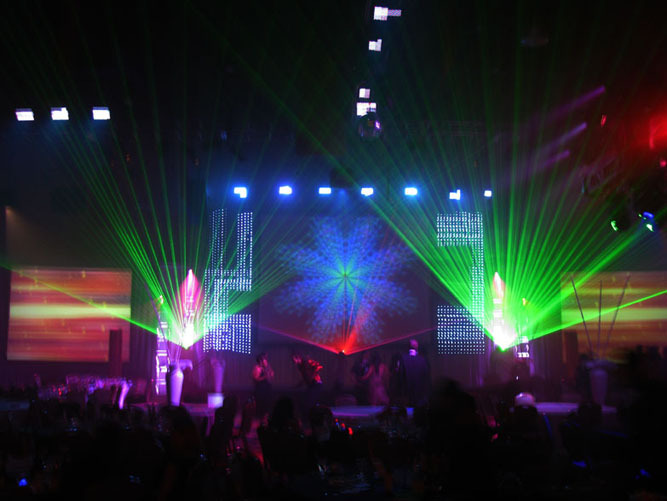 It was the annual banquet of the Westwood Colleges of USA that ran for seven continuous days at the Rocky Mountain Event Center of the Marriott Hotel, DTC, Denver. The highlight of the last two days was Manick Sorcar's Laser show, which kept the audience spellbound until it was over at mid-night. 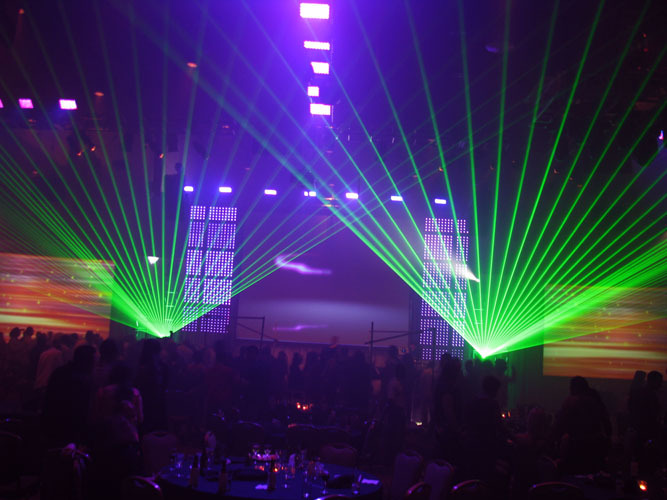 This laser show was a special challenge as even though it was preprogrammed to a specific theme, the scenes were 'hot-keyed' or spontaneously selected to match the activities and rhythm of music, the entire time. The show was a phenomenal success.